Buying Christmas gifts can be hard, but if you know someone a little obsessed with Paris like myself, then look no further! I have searched through Etsy to find some of my favourite items that I think would be perfect for those Francophile friends of yours. Today is the beginning of November, and you know what that means? The countdown to Christmas can officially begin! (Albeit still a wee bit early…) That’s right, there’s only 53 days till Christmas – and when you include all the days when you might be working, socialising, and those general c-b-a days, that doesn’t leave you very long for your christmas preparations. To make life a little bit easier I have designed and created my very own selection of hand-made Christmas cards that are now available to buy on my Etsy shop. You can get yourself a variety pack of 6 Christmas cards here, or perhaps just the one card for that someone special. Either way, these bespoke and original hand-made cards are the perfect way to wish loved ones a happy holiday. Check out all the cards here. For the last couple of weeks I have been doing a lot of painting, and I am pleased to announce that over on my Etsy shop you can now buy some one-off, unique, miniature works of art – my hand-painted greeting cards! I have made a dozen (and more) hand-made copies of the same design, and whilst I am in the process of reproducing them, I thought it would be a great idea to let you guys have the chance to buy your own and send them to your loved ones. 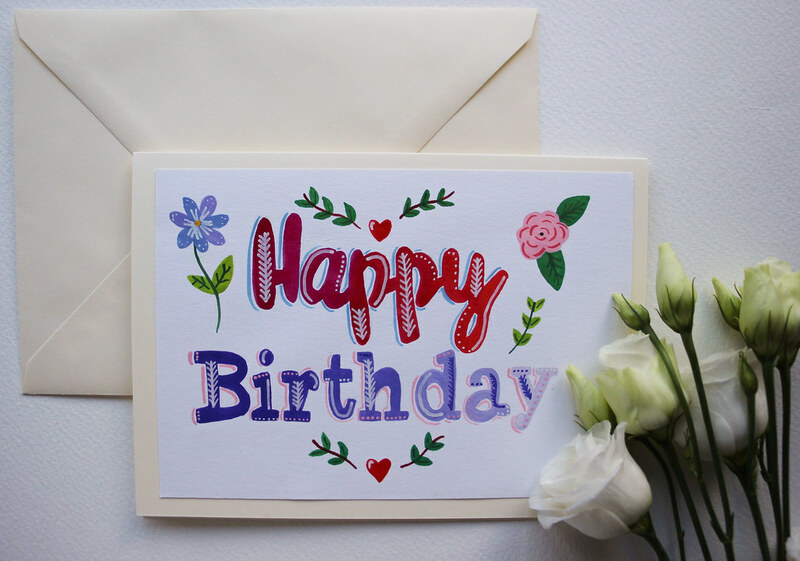 I am an absolute stickler for handwritten letters and cards, and so I hope that people might enjoy sending and receiving my hand-painted greeting cards. Each card is individually hand-painted using watercolour and gouache paints, then hand mounted onto 5 x 7 ivory card. Below is a selection of the ones now currently available online, with more to come soon! 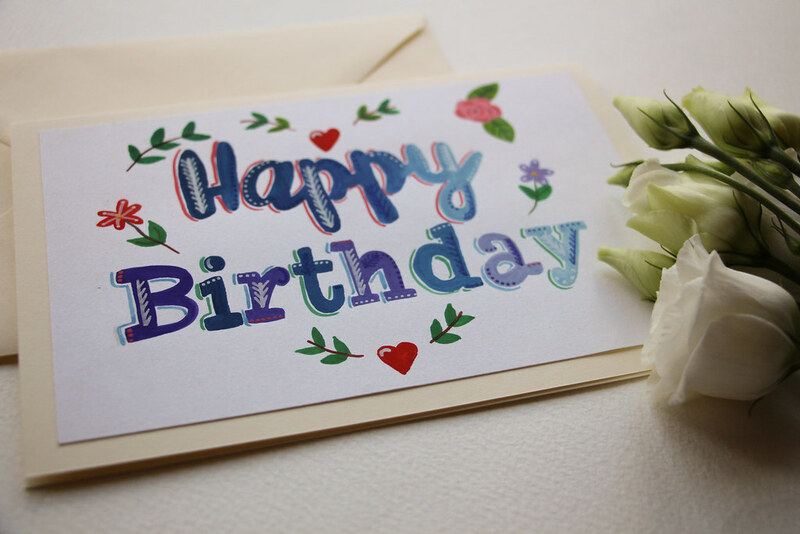 A selection of my Happy Birthday cards are available here on Etsy. 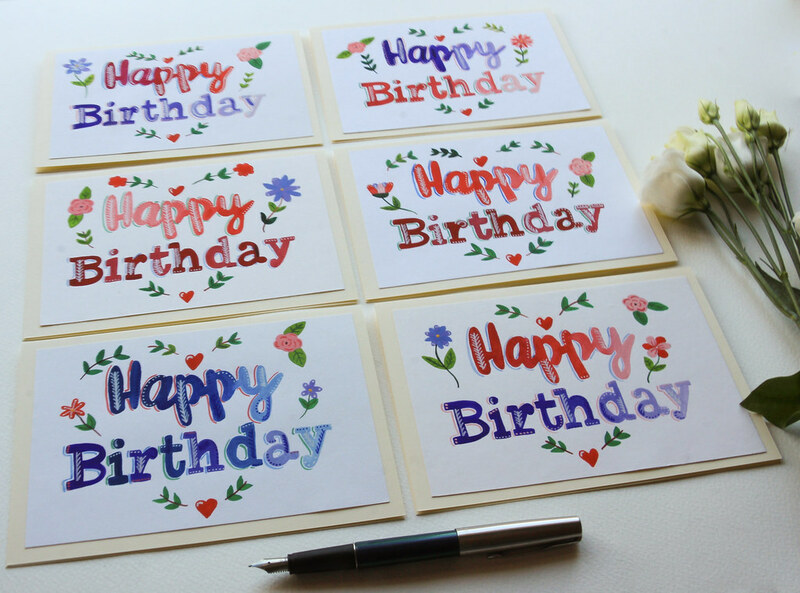 You can choose from five cards, each differing in colour and illustration. 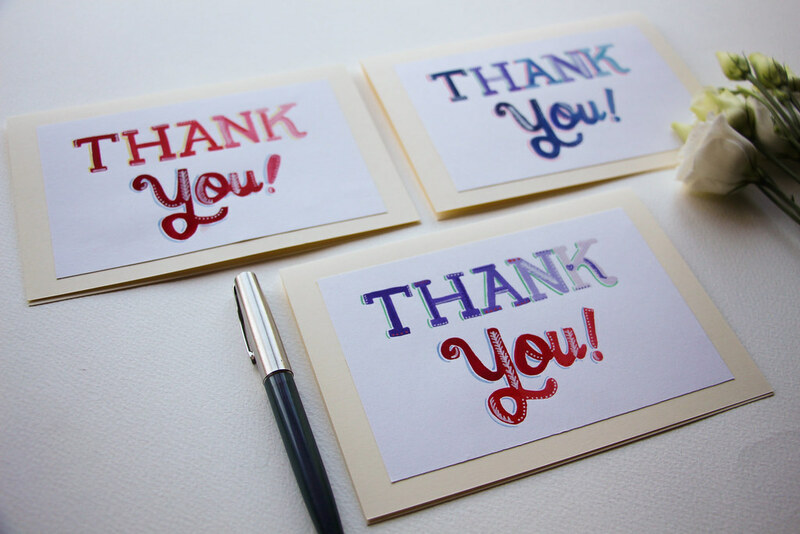 Say ‘cheers’ with my hand painted Thank you cards available on Etsy. 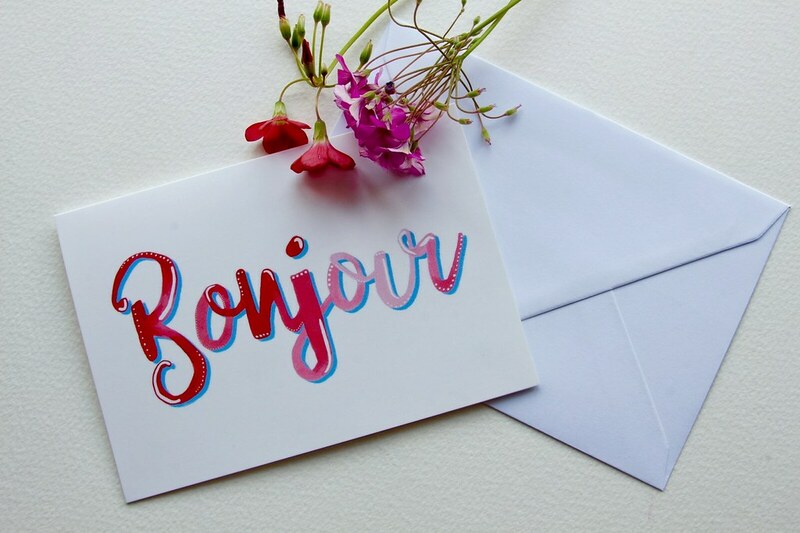 I have also added printed Bonjour cards which available on Etsy. These are print copies of my hand-painted lettering, originally made using watercolour, gouache, and love. 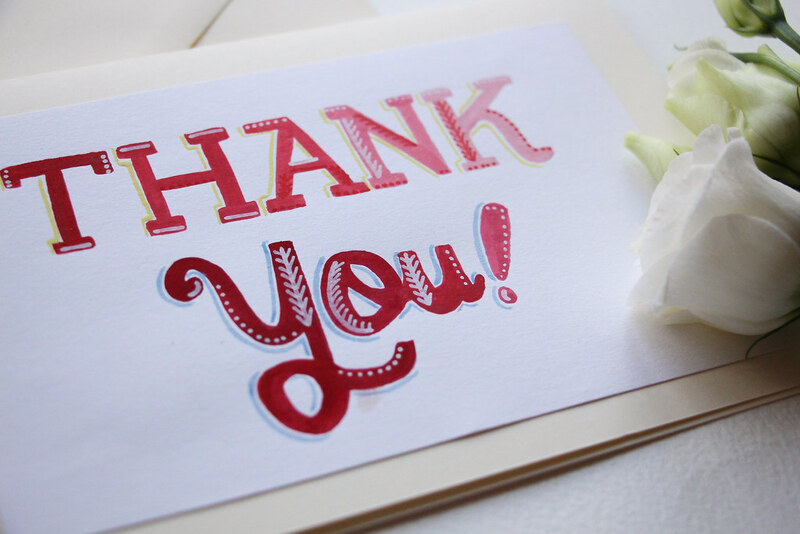 This card is a print copy made with a premium matte stock finish. 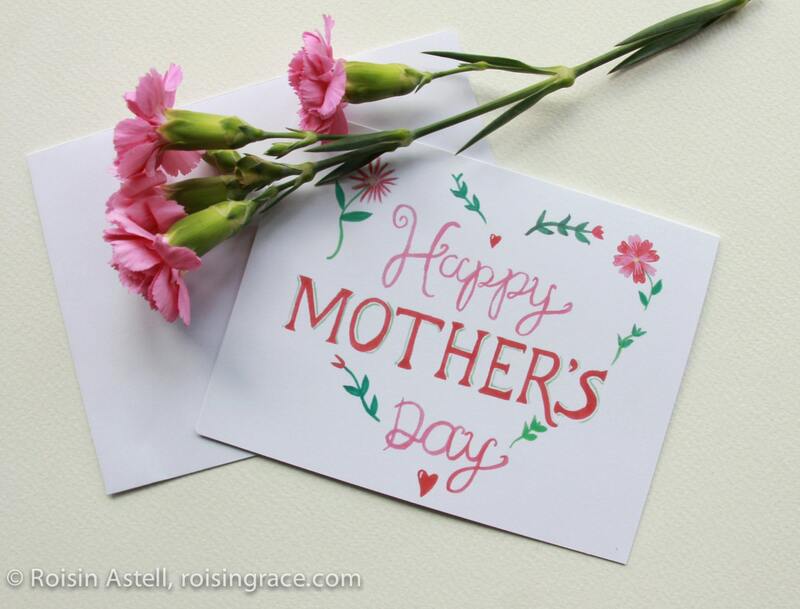 Have you got any sayings or greetings that you would like to see painted on a greeting card, leave a comment below – would love to read some of your ideas! You can check out all my hand-painted and printed greeting cards over on my Etsy shop here. Etsy Summer Sale – 10% everything! August 2, 2016 August 2, 2016 by roisingrace2 Comments on Etsy Summer Sale – 102 everything! I cannot believe that it is August already, where has the time flown? As I write this blog post, I look out from my desk onto my garden and it is raining. It hardly looks like summer here in England. Rain, rain, rain. But do not fear if the weather is rubbish where you are – to celebrate Summer I am having a SALE off EVERYTHING in my Etsy shop. Yes, you read that right, everything. This includes greeting cards, photo prints, and custom orders. Never has there been a better time to bring some Parisian chic into your home or send a little card to loved ones. For your chance to get 10% off all my photo prints and greeting cards, use the promo code SUMMERSALE16 – limited time only (till September). Spread the word! I seem to have an endless supply of Postcards. When ever I go travelling or to a Museum, I always end up buying what feels like thousands of postcards. However, the majority of them end up in a draw somewhere awaiting for me to find the time to take them and go through them. If this scenario sounds familiar, then fear not! 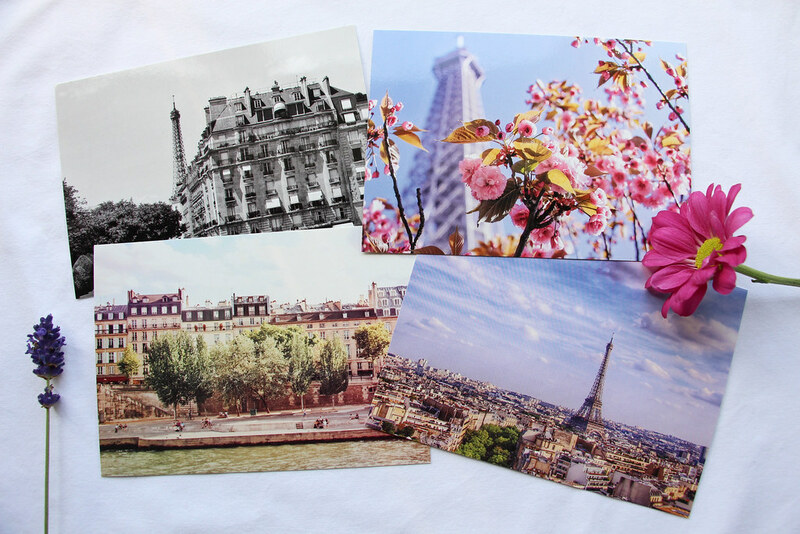 As I have been going through the magical world of Pinterest to find the most creative and chic ways to display these souvenirs, and here are my top 5 favourite ways to showcase your postcard collection around your home! This is a simple display is incredibly effortless, and even though it is minimalistic its’s a fantastic way to display those postcards without having to spend lots of money. One way to complete this look could be done easily using string along with small clips to attach the postcards to. Simple, yet effective. This postcard chandelier from French Fancy is so stylish! I love the fact that such a way of displaying postcards is completely different to others seen – therefore, making it a unique statement piece for any home, and a fantastic way to bring those postcards out of the draws and on display in your home. A definite talking point for any visitor who comes to your home! You can check out this awesome DIY by A Pair and A Spare, wherein they have created a really cool way to display photos or postcards which is similar to the hanging chandelier above. It’s super easy to make and looks effortlessly chic. I absolutely love this postcard/photo display! The mantel piece above a fire place is the perfect place to show off your collection. It’s a great way of using a small amount of space to create interesting decoration. 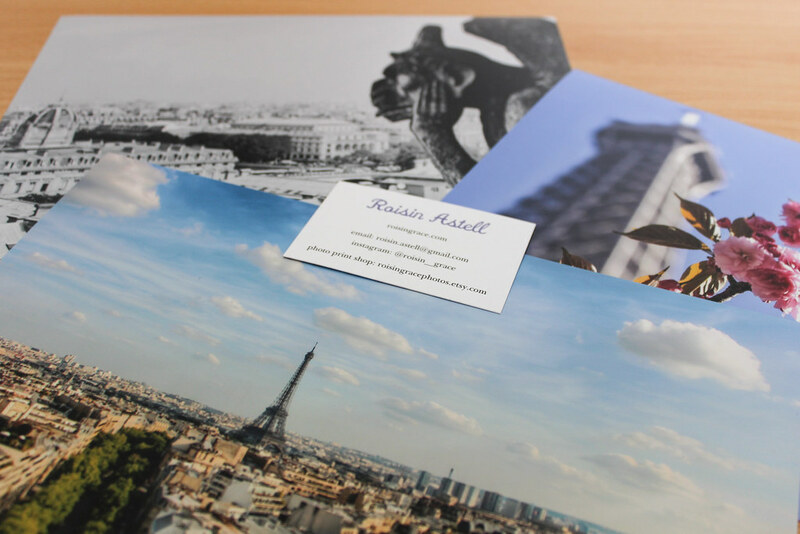 In contrast to the other ways of displaying your postcards, this shows that order is not necessarily always the way when displaying your postcards. It will also make for a great talking point for those coming to visit your humble abode. This is probably the easiest and elegant ways of showcasing those postcards – a simple bordered frame is the perfect way to display postcards. 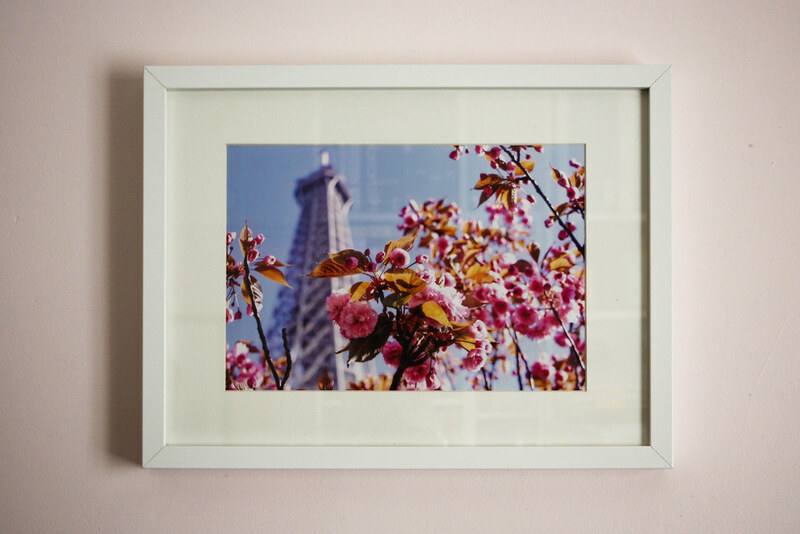 Whether in a big frame like above, or perhaps one that will allow for 4 x 4 postcards, both will be wonderful ways to add some art to your home. In addition to collecting thousands of postcards, I also seem to have a knack of obtaining masses of hangers. Finally, there seems to be a clever way of using these pesky items – utilising them as a postcard display! Don’t forget that postcards are now available on my Etsy shop! 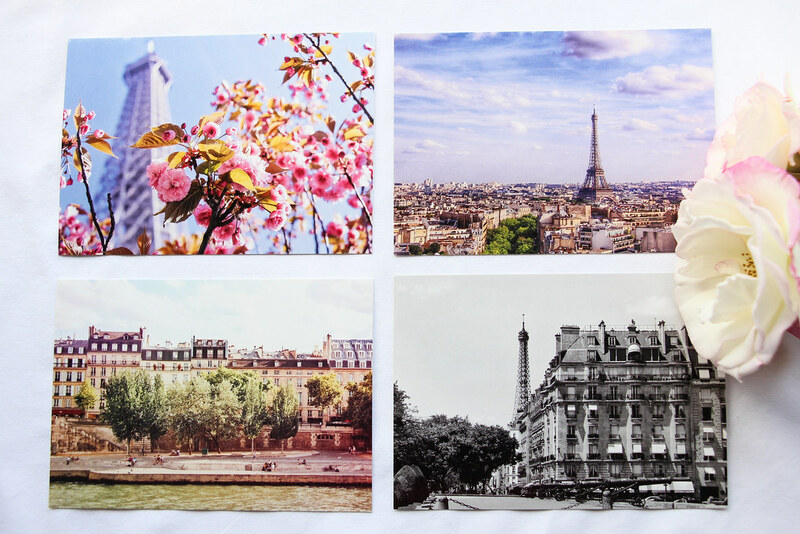 Head over there now to grab your own beautifully printed postcards, and get inspiration from the displays above on how to bring some Paris into your home! Not too long ago, I finally experienced something that I have been longing to see since I can remember. 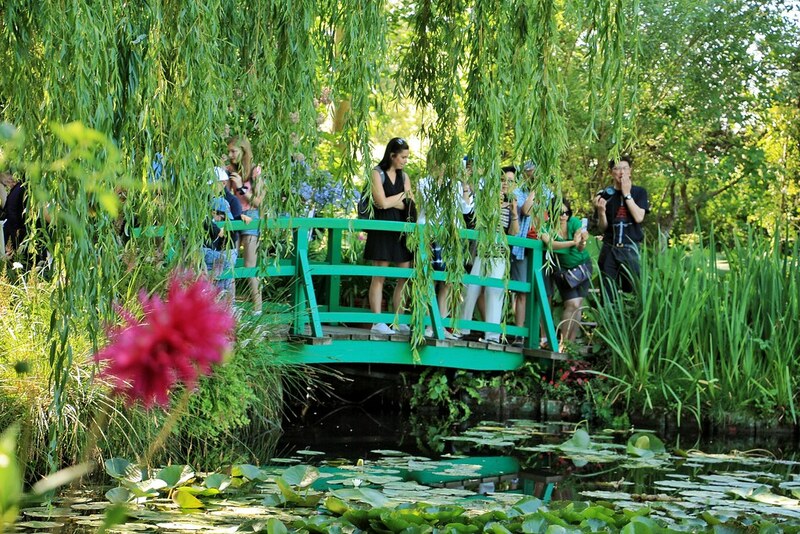 That was taking a trip to explore Monet’s gardens for the first time. It seems to be a cliché as an Art Historian to say that you love the Impressionists – but I really do! 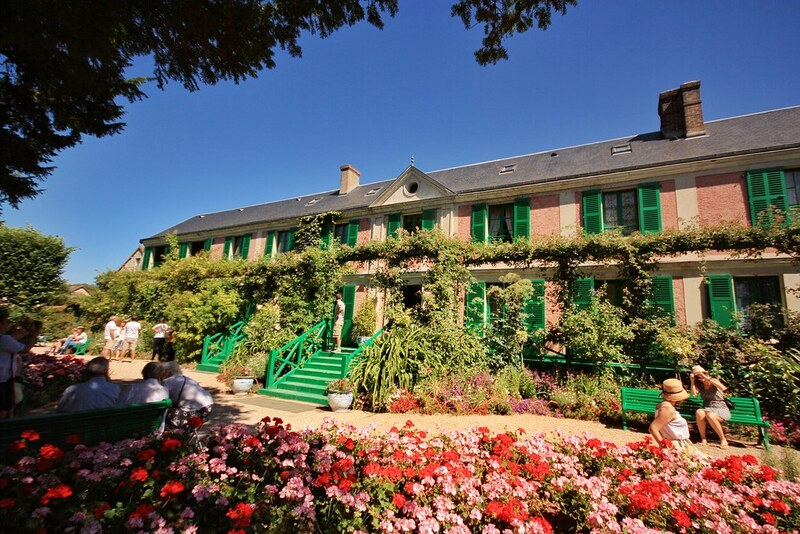 There’s something about their work, especially Monet’s, dreaminess and visionary paintings that captivates the viewers. When looking at their work, I could stand for hours staring at the various colours, watching them wash and merge into one another as you move your gaze around the surface. 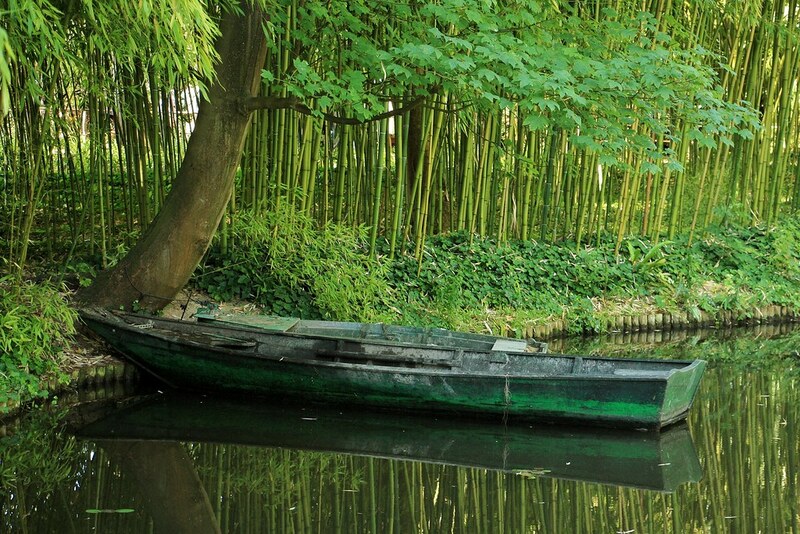 It was here in Giverny where Claude Monet lived from 1883 until his death in 1926. 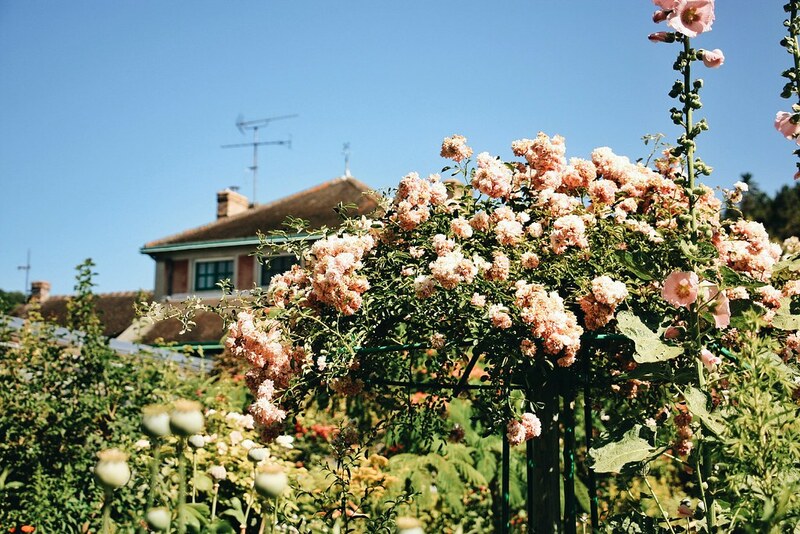 Living in a delightfully sweet house, Monet transformed his gardens into an amazing landscape of beauty – an ode to nature. 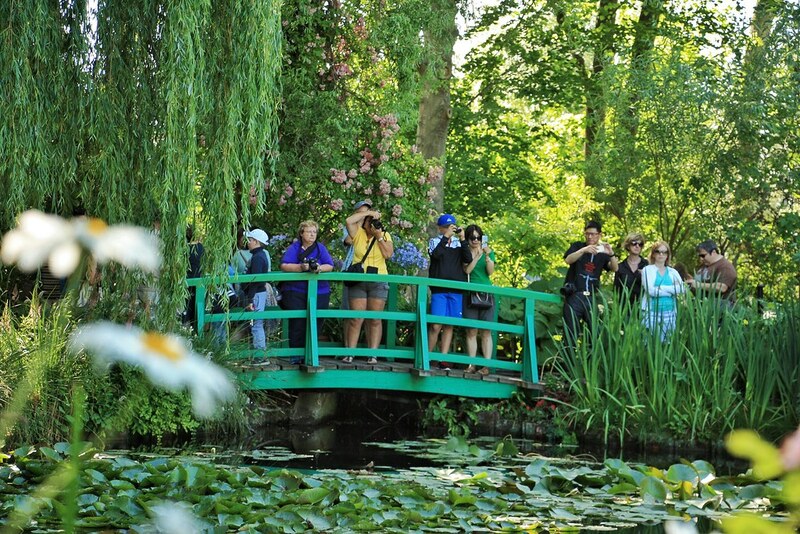 Monet’s gardens are divided into two separate areas – the Close-Normand and the Water Garden. 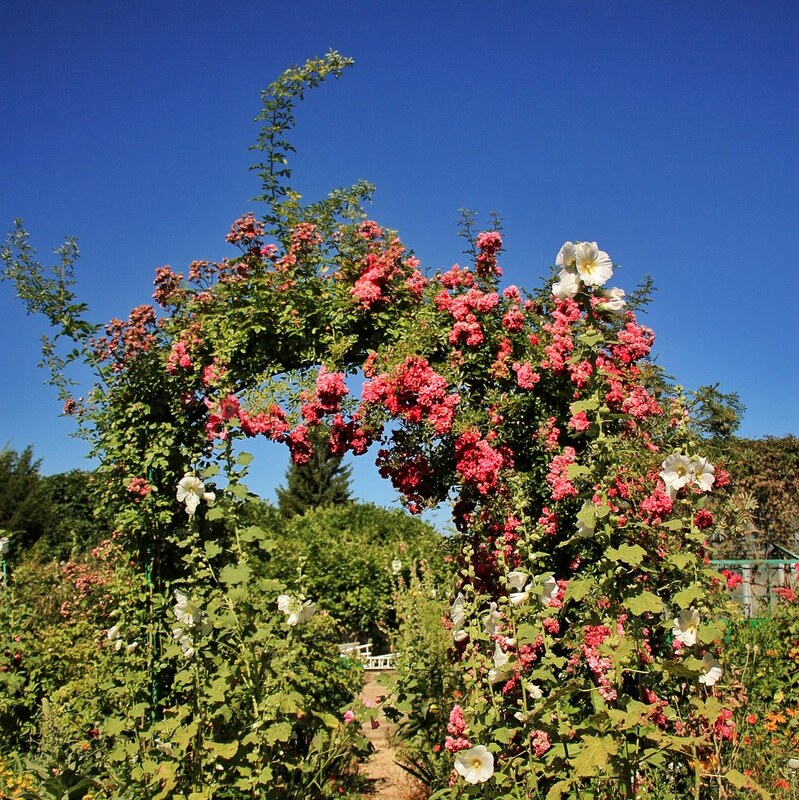 Starting at the Close-Normand, which was remodeled according to the original design, the garden is made of winding paths with a variety of beautiful flowers wherever you go. 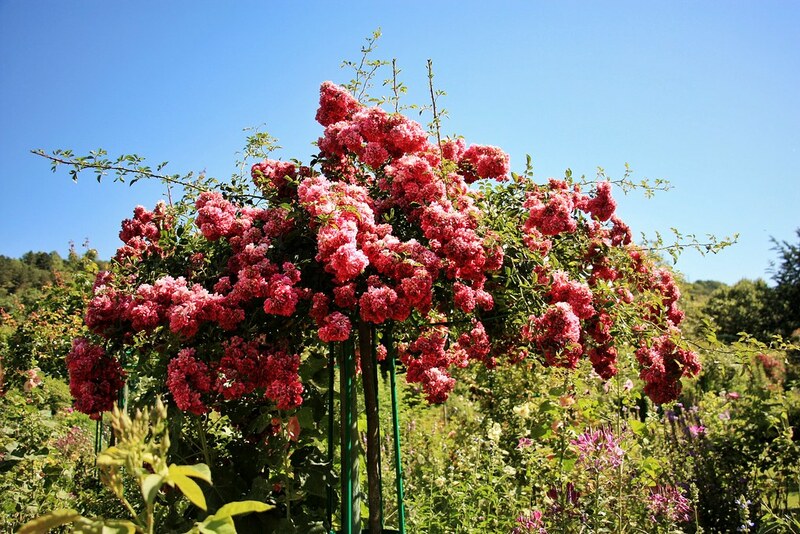 The sheer amount of flowers is overwhelming – in the good sense! Everywhere you look there seems to be a different species, and of course you don’t want to miss a thing. 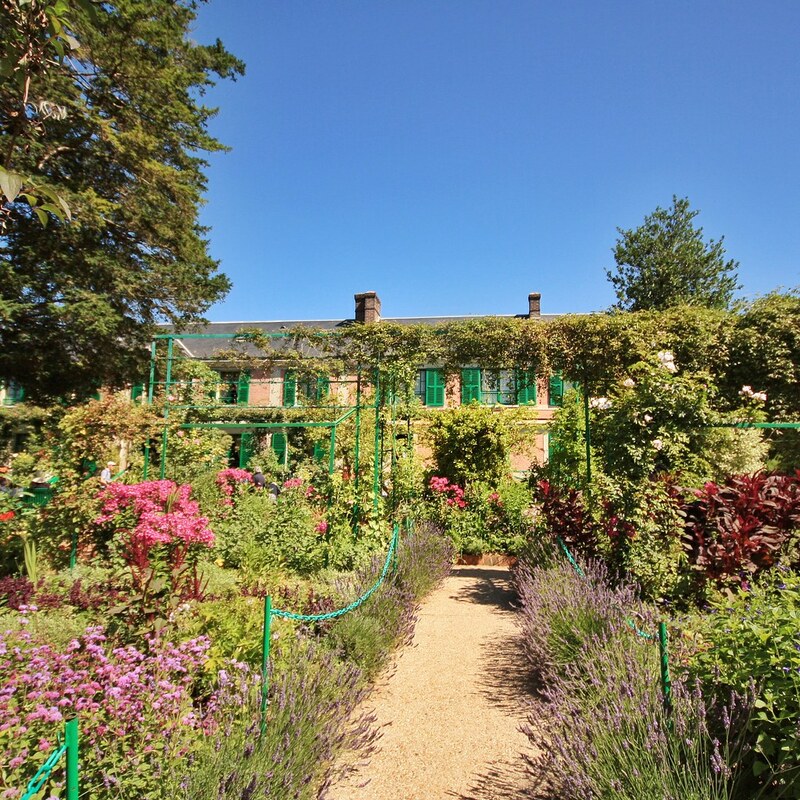 The amazing array of colours within the garden reflects the work of Monet, and walking around the Close-Normand, one feels as if they have entered one of his paintings. 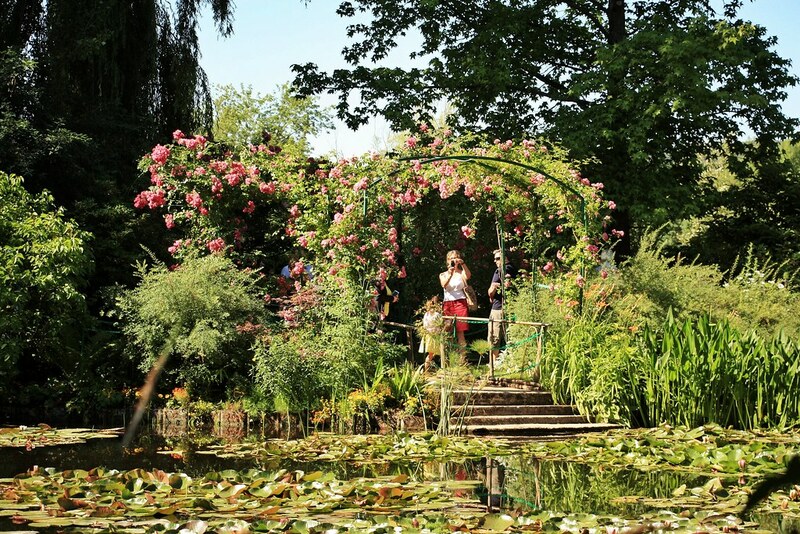 A descent through an under-ground path takes you to the infamous landscape that was the inspiration of Monet’s Water Lilies collection. 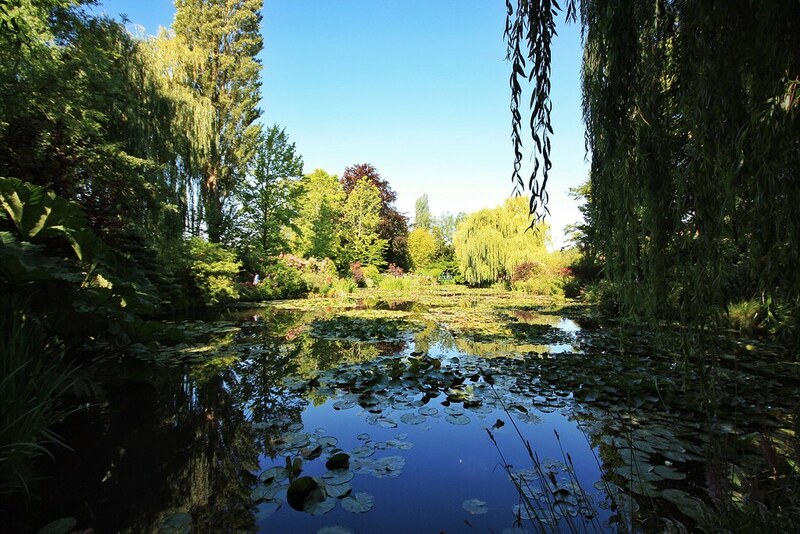 Purchased in 1893, Monet transformed this land into a heaven – and into the ‘Jardin d’eau’ (Water Garden). 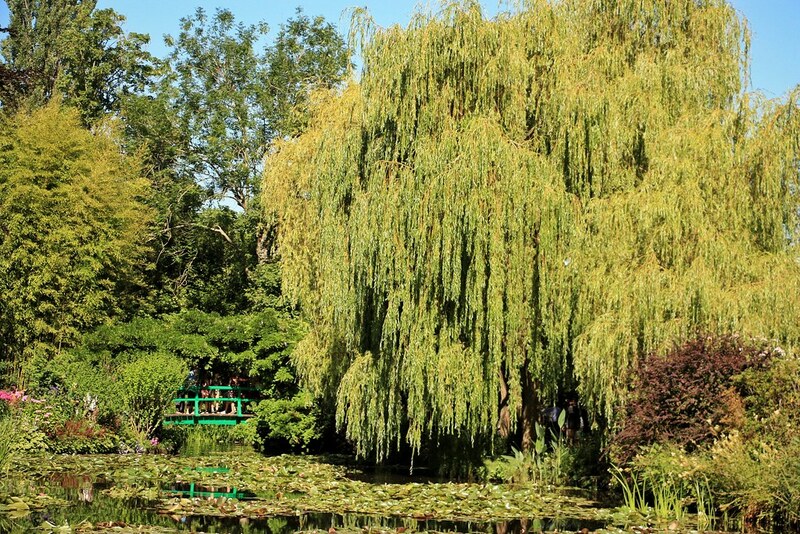 This garden reflects Monet’s interest in Japanese Culture, with its own Japanese bridges and oriental plants, including magnificent Weeping Willows surrounding the pond. In contrast to the traditional red bridges of Japan, Monet’s were painted green – as if to blend into the landscape of the garden. Having seen many of Monet’s Water-Lilly paintings in person all over the world, it was a surreal experience to finally be able to come to the place which ignited his inspiration for those works. 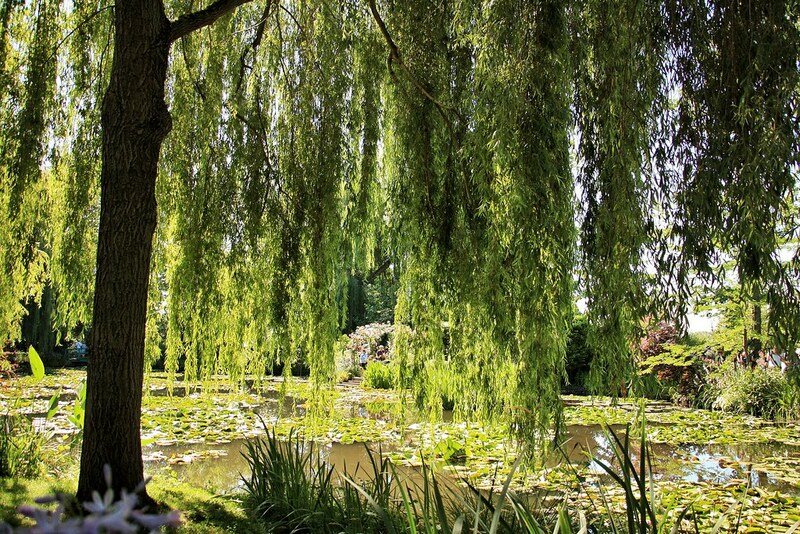 Having spent time wandering around the Water Garden, it was easy to see how Monet was so inspired and devoted to this garden. I felt that I experienced this when visiting the gardens, as every view created a different vision, with the reflections of the water changing and the slight breeze moving the plants. As well as exploring the gardens, you can also head inside the house itself. Recently renovated in the style of Monet’s original décor, it’s interesting to be able to attempt to picture yourself in his life. In the bedrooms on the second floor, you can gaze out onto the landscape, which I can only imagine being twice as serene without the tourists. I am a little obsessed with the pink exterior of the house – it looks almost as if it could fit in Notting Hill without looking too conspicuous! 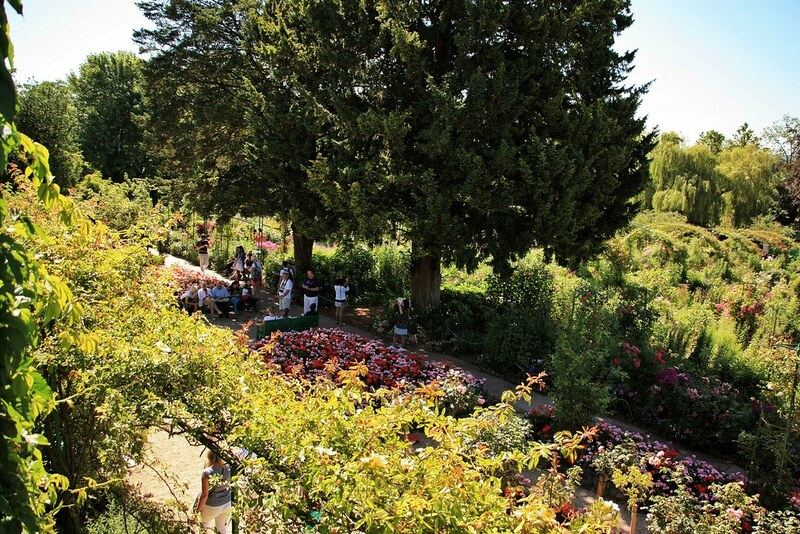 Overall, I had an amazing time visiting Claud Monet’s Gardens. 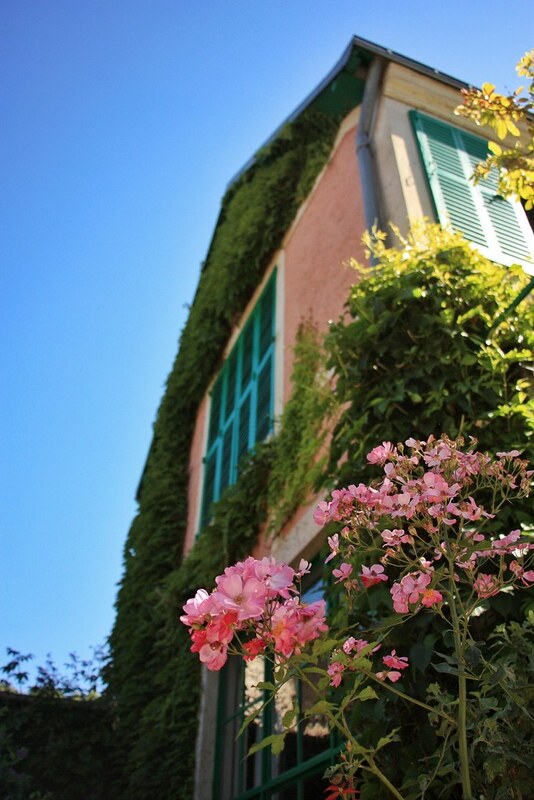 It was a beautifully sunny day, with the flowers in full bloom – what more could you ask for? Despite taking around 600 photos, I still don’t feel as if I got enough, or did the stunning landscape any justice! Pre-book tickets: I had pre-booked my tickets online – which included no a fixed date, meaning that I had a lot of flexibility for when I decided to go. When I arrived at the Museum, despite it being early in the morning, there was already a big queue. But with my pre-booked ticket I was able to skip all of this and enter extremely quickly! Getting there: Take a train from Saint-Lazare in Paris to Gare Vernon, which takes around 45 – 50 minutes. From there, either take the shuttle bus or hire bikes (or walk!). 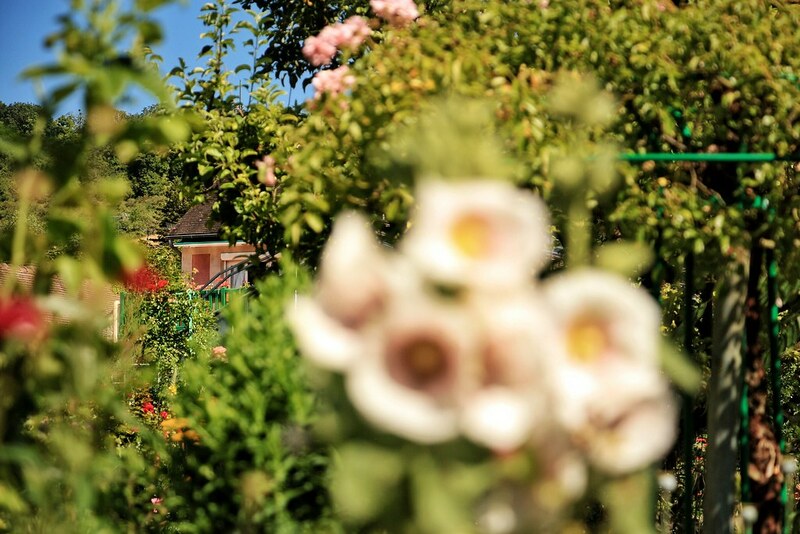 If a nice day, I would recommend hiring bikes – you cycle along a beautiful cycle path, and get to experience the cute town of Giverny. 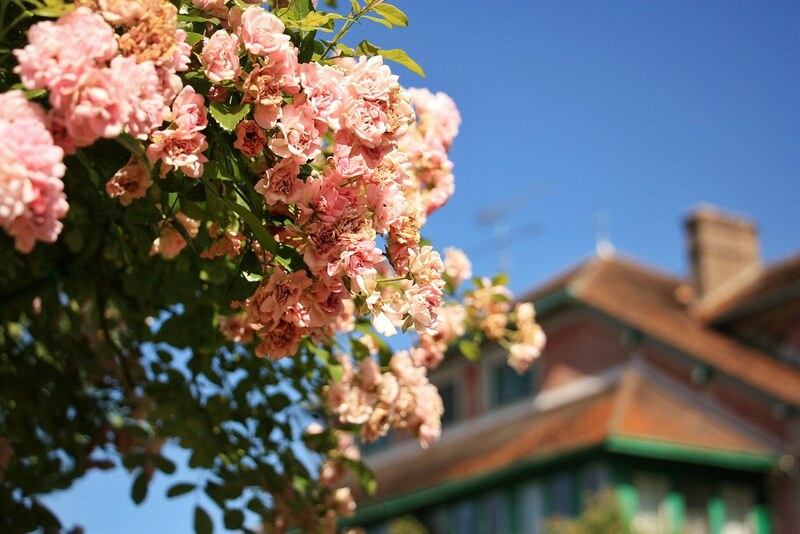 You can see all the photos that I took during my visit to Monet’s Gardens here.